Make yourself at home in the highly sought after Terrace area! 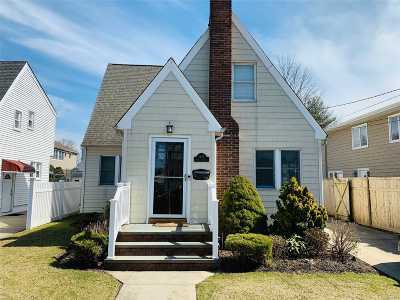 This newly updated Tudor cape sits on a quiet street close to restaurants, shops, hospital & LIRR. Hardwood floors throughout, updated kitchen with stainless steel appliances, cherry cabinets & granite counter tops, spacious dining room, full finished basement with crawl space storage. Brand new electric & split system central air. Fully fenced yard, driveway w/car charging outlet. Will not last. Basement: Full Full Finish Basement W/Split Zone Ac/Heat System-Energy Eff.